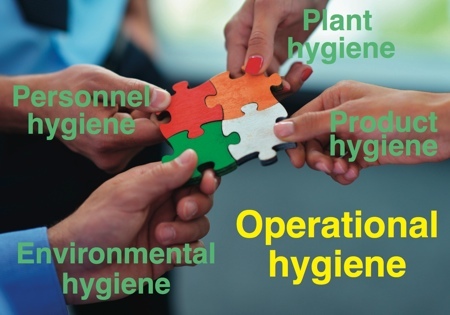 Process control systems that operate in hygienic environments are subject to extensive levels of regulation and certification as well as regular audits to ensure continued compliance. To meet both current and future regulatory demands, companies need to plan new installations carefully but also review any innovations that can be implemented on an existing manufacturing process. 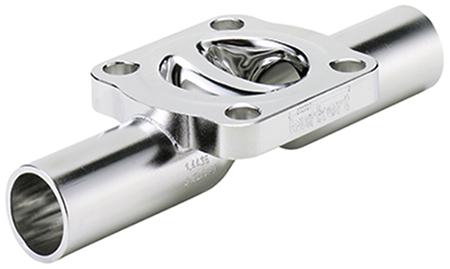 The excellent strength and cleanability of stainless steel makes it the material of choice for the vast majority of vessels, pipework and valves but achieving a high standard of cleanliness involves some refinement of the raw material. Some valves, such as Bürkert’s Robolux design, use a system of electro-polishing, which involves the removal of 30µm of metal from the media contact surface with a special electrolyte, under the effect of DC current. The material is removed without mechanical, thermal and chemical influences. As a result, the surface becomes smooth and shiny in the micro range; possible damaged outer layers are removed, and the properties of the pure stainless steel can be utilised. In the past, the polishing process was achieved using small electric polishing wheels, that were labour intensive and time consuming. 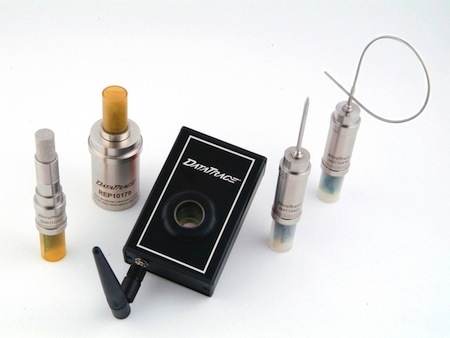 This process is now automated and can also involve the use of an abrasive paste that is repeatedly pumped through the valve body to achieve a surface finish of less than 0.4µm. This produces a very uniform surface which is then electro-polished to give a near mirror finish for all areas that come into contact with the process media. Using these processes it is possible to produce extremely smooth surfaces, even in complex valve arrangements, and this enables the CIP or SIP process to be effective. 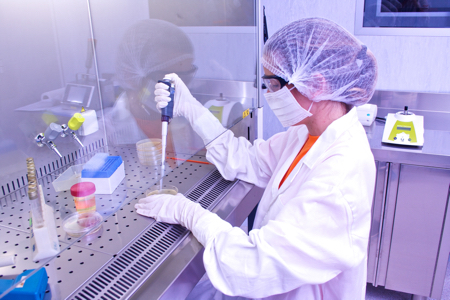 In hygienic applications where CIP/SIP are operated, it is essential to be able to ensure that the cleaning cycle is both effective and efficient. In situations where larger scale process equipment is being installed there will almost certainly be a factory acceptance test, part of which must demonstrate and document the effectiveness of the cleaning process. 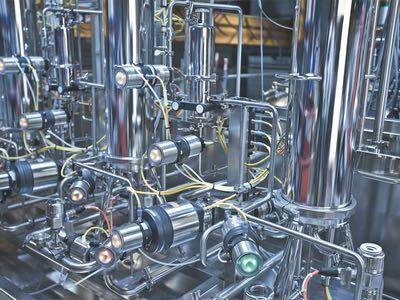 Bürkert is able to test cleaning cycles and provide 100% reliability on the flow properties and cleanability of a complete valve system by using a riboflavin test rig. As one of the few manufacturers of fittings and valve interfaces in the world that owns and operates such a test rig, the company ensures that the effectiveness and efficiency of each design is proven. However, while the internals of a fluid control system are very important, the external equipment must also meet a number of demanding criteria in order to be deemed suitable for operation in hygienic applications. Valve positioners/ controllers, sensors, control cabinets all play a role in the control system and as such need to be suitably protected against corrosion and cleaning processes. 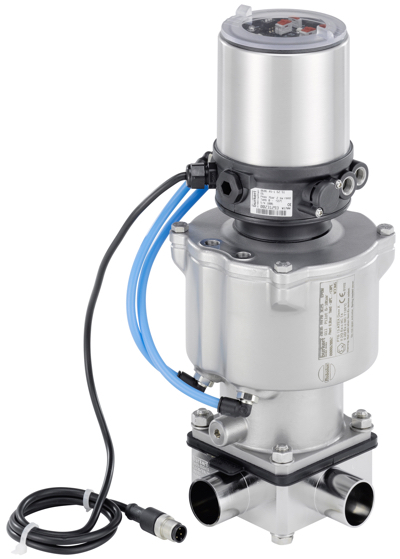 Bürkert continues to develop innovative products designed to improve efficiency and reliability within a wide range of processing applications. With design expertise in individual components through to complete fluid control systems, the company offers turnkey solutions that meet the statutory regulations associated with hygienic processes.